Two of Temple’s large unions may have means to strike this semester. The university’s American Federation of State, County and Municipal Employees and the Temple Association of University Professionals have attempted to come to a new contract agreement with the university to no avail for the last few months. 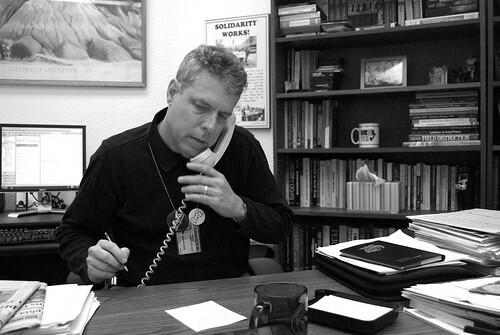 TAUP, which consists of 1,250 faculty members, had a contract which expired Oct. 15, 2008. AFSCME’s contract expired Oct. 31, 2007. 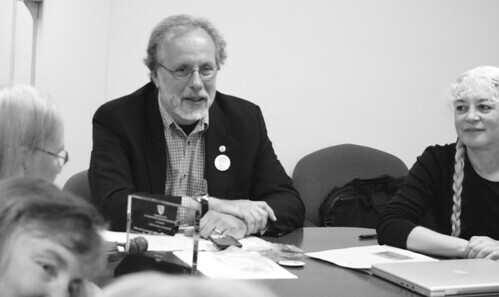 AFSCME met with members of the university once prior to winter break. The university placed a final offer on the table for AFSCME in May 2008. The offer included an increase that would take effect in November 2008. Dannenfelser said AFSCME’s action committee has been discussing future actions they might take. On Dec. 5, 2008, TAUP gave management a revised offer and then met with officials in a meeting that didn’t make any progress, said Arthur Hochner, president of TAUP. The negotiating teams met again on Jan. 7. The university later sent TAUP an offer, but the two teams have not yet met to discuss it. They are scheduled to meet Jan. 21. The previous economic offer made by the university guaranteed a roughly 3.75 percent per year increase for four years. The most recent offer is a five-year contract, guaranteeing 3 percent for the first fiscal year, retroactive to July 1, 2008 through the end of June 2009. There will be no increase the second year and a 2 percent increase each of the following three years. This is consistent with the announcement made by President Ann Weaver Hart Jan. 15. There’s still the ability to give a salary increase to outstanding individual faculty members. No other details on the most recent economic proposal are available until after the teams meet Wednesday. Hochner said they have been talking to TAUP members about “what it will take to get a fair contract.” He said a strike is becoming a greater possibility, if the members agree to it. TAUP is also planning more picketing and other similar activities in the coming weeks. Several other colleges and universities have recently taken actions similar to that of Temple. While TSG’s Senate is already underway, the faculty Senate is working to deal with issues of their own. Members of TAUP picketed at the CLA and CST graduation ceremonies on Thursday and Friday. AFSCME should meet with the Membership face-to-face at location on MAIN CAMPUS, so that all members maybe in attendance. It’s definitely time.